To look at, blended into the surrounding nature through exposed timbers and dried-mud walls, the Earthship looks like it would be more at home in Middle Earth than where it actually is, just a stone’s throw from one of Britain’s hippest coastal cities. However, it’s not the style of the dwelling that’s encourages visitors such as myself to travel the five miles or so from the buzzing Brighton seafront – by public transport, of course – to see it first-hand. Rather, it’s the substance of the Earthship that is the main draw. This is, after all, arguably Europe’s greenest building, making use of techniques honed by experts around the world since the first Earthship communities took shape in Taos, New Mexico, some 30 years ago. Take the walls, for example. Open a small wooden panel on the side of the main building and they’re exposed for what they are; made of thousands of tyres, lined with cardboard and filled with earth. 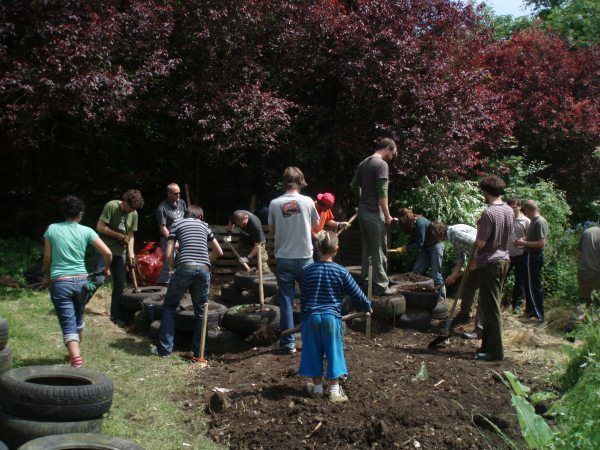 Not only is this a super-effective means of keeping in the heat generated by passive solar energy, but, with the UK alone throwing away more than 48 million tyres each year, the technique can go a long way towards addressing the problem of illegal dumping. Similarly, a quick tour of the Earthship reveals that the inner walls are partially constructed from waste bottles, cut up and taped together to form bricks that not only offer sound support but also give an aesthetically-pleasing stained-glass effect. Meanwhile, special tanks harvest rainwater – of which there is certainly plenty in England – while plants are used to treat waste water on-site, thereby enabling the house to function perfectly well ‘off-grid’. Of course, while, as this project demonstrates, it’s possible to disconnect from mains electricity and water supplies in the context of new build homes in rural settings, it’s hardly feasible, or even desirable, to implement the same sustainability techniques in, say, Victorian townhouses. But that’s not to say that city-dwellers aren’t keen to learn lessons in green-living from the team at the Earthship; far from it in fact. Indeed, the project’s manager Mischa Hewitt tells me that public interest has never been greater. This grassroots movement embracing eco-friendly living, he believes, represents the way forward for sustainable homebuilding in the UK. 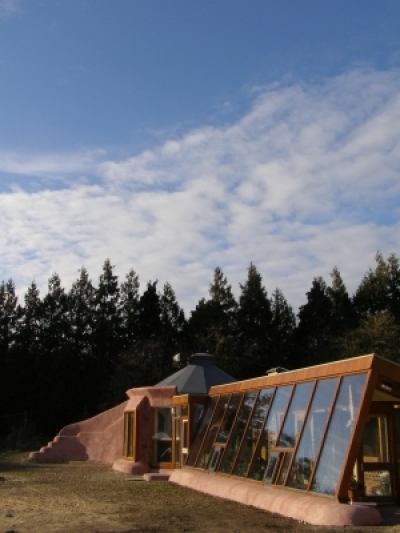 With the Earthship now fully built and operational, the main challenge facing the team there is to put all they have learned into action on a wider scale. And, while it could be argued that this would be best-achieved by joining in with a ‘top-down’ approach, to green housing, with ministers failing to back up their rhetoric with firm policies and the larger homebuilders continuing to construct high-quality, low-volume housing, for the time being at least, the greatest hope could lie with those heading to projects such as the Earthship to learn how to implement small-scale changes. ”Ideally, the government would take the lead, with the building industry getting on board. But, realistically, it will be self-builders taking the initiative, hopefully with the market catching up,” Mischa concludes. Earthships haven’t become well known or popular in South Africa…yet. The major structural components, tyres, are free and any municipal dumping ground in South Africa would be happy to get rid of them as they take up space. Read about another house design that uses old tyres as the major components of walls. Earthships have other overlooked advantages when they are built into the ground: 1)Security: in South Africa, they could be made almost impenetrable- a great deterrent to criminals; 2)Radiation protection: building into the the ground and using earth as insulation could also provide some protection from nuclear radiation. Contact us for a free quote on a solar water geyser, water tank or rainwater/gray water system today. Switch to green insurance cover to effortlessly reduce your carbon footprint- ibuyeco environmentally friendly insurance is now available in South Africa!